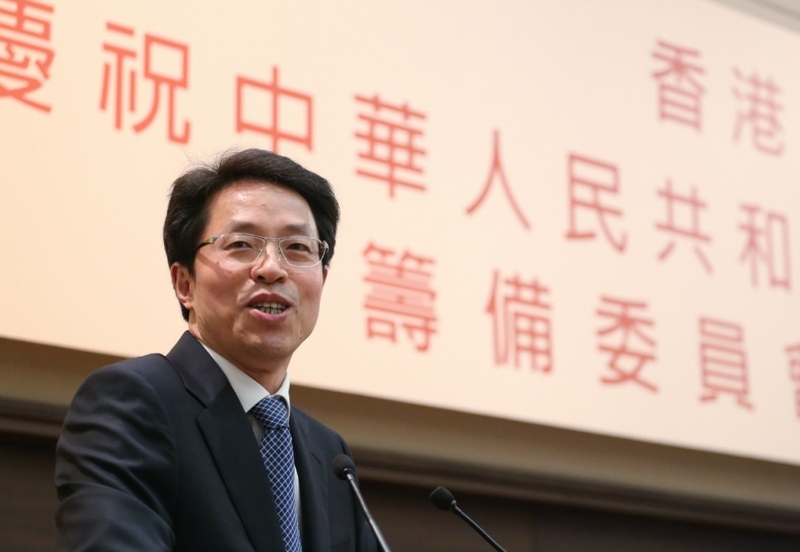 Zhang Xiaoming, the director of China’s Liaison Office in Hong Kong. (TibetanReview.net, Sep13, 2014) – Democracy activists in Hong Kong have expressed shock and outrage over a comment by China’s top official in the Special Administrative Region that they should be grateful for not having been killed for campaigning for a fully democratic election for their head of government. “The fact that you are alive shows the country’s civility and inclusiveness,” The AFP Sep 11 quoted Zhang Xiaoming, the director of China’s Liaison Office in Hong Kong, as having said in a closed-door meeting with three pro-democracy lawmakers on Aug 19. Two of the people at the meeting were reported to be activists from a group that wanted Beijing to reverse its verdict that China’s pro-democracy student movement in 1989 was a subversive uprising. Zhang’s comment was reported to have come when the topic of whether activists from that movement should be allowed to run for the chief executive election and whether they were considered patriots was being discussed. Zhang’s blunt comment first emerged in an article Sep 11 by Reuters news agency. “He was dead serious, it was no joke,” the AFP quoted one of the three people as saying, speaking on condition of anonymity. 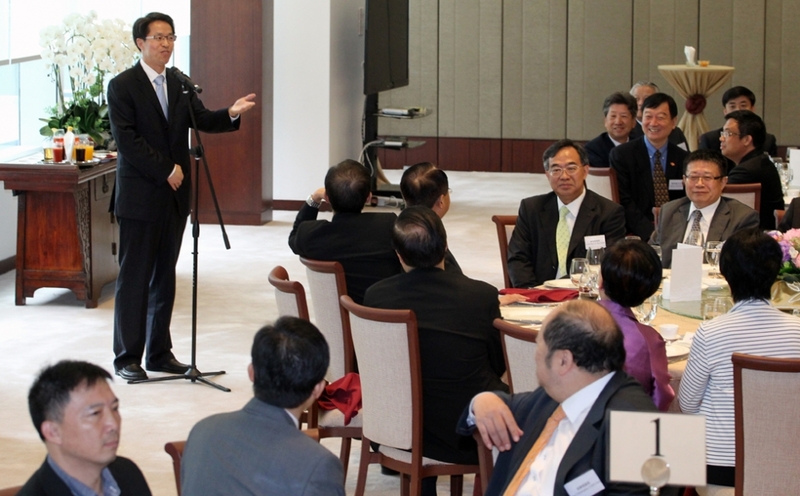 Liaison office director Zhang Xiaoming delivers a speech during the lunch. The meeting was part of a series of talks between Zhang and the city’s pro-democracy lawmakers that took place shortly before China crushed activists’ hopes for genuine democracy when it announced that the city’s next Chief Executive must be someone who loves the Communist Party of China and is approved by Beijing. It was made clear that Hong Kong residents could vote only for such candidates approved by Beijing. A coalition of pro-democracy groups, led by Occupy Central, have vowed to usher in a new “era of civil disobedience” against Beijing’s decision to tightly control the next leadership vote, which is due in 2017, calling on followers to block major thoroughfares in the city’s financial district. Britain handed Hong Kong back to China on Jul 1, 1997 at the end of a 100-year lease under a “one country, two systems” agreement which allows civil liberties not seen on the mainland, including free speech and the right to protest, and a promise of eventual universal franchise.